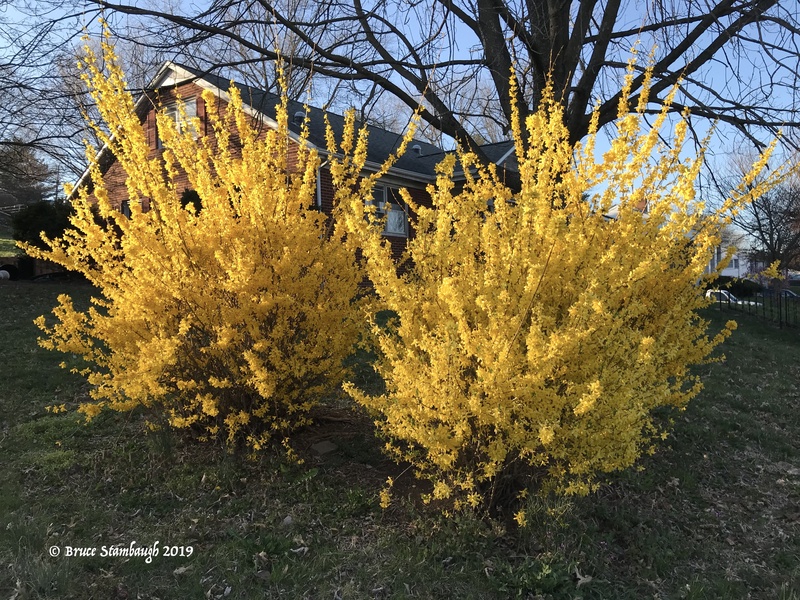 For whatever reason, the forsythia bushes in the Shenandoah Valley this spring are brilliant. Their blossoms are plump and full. With the early evening sun shining on these bushes, the yellows and golds just popped. “All aglow” is my Photo of the Week.